In recent years, the intensity of precipitation events has increased significantly, causing flooding and erosion, and carrying sediment and nutrients into lakes, rivers, and streams resulting in poor water quality. Stormwater management systems planned, permitted, designed and monitored by Delaware Engineering, D.P.C. 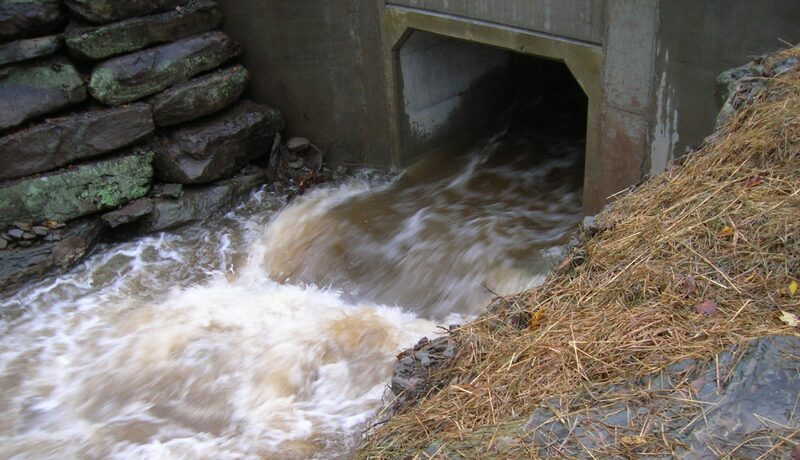 address the environmental and economic issues caused by stormwater runoff. Delaware Engineering employs approaches to stormwater management that result in securing grants and low cost financing from federal, state, and regional entities to support the separation of stormwater from sanitary sewage as well as green infrastructure. Delaware Engineering, D.P.C. provided permitting, design and construction inspection for the stabilization of an eroding bank in close proximity to two residences on Cranes Hollow Road. The project was funded by the USDA/NRCS Emergency Watershed Protection (EWP) Program and included stabilizing the eroding bank and installing in-stream rock structures further stabilize the section of stream. Construction was a joint effort by Montgomery County and Town of Amsterdam DPW crews. Delaware secured permits from NYS DEC and USACE, completed the engineering design and provided construction inspection services. Delaware Engineering worked closely with Greene County Soil and Water Conservation District staff to complete a design for the replacement of a failing culvert on Glen Avenue. The new culvert will be a 60ft long, 11ft x 6ft concrete box culvert with headwalls and wing walls. Stream grading and bank stabilization are also incorporated into the project. The road will be regarded and then paved and new guide rail will be installed. 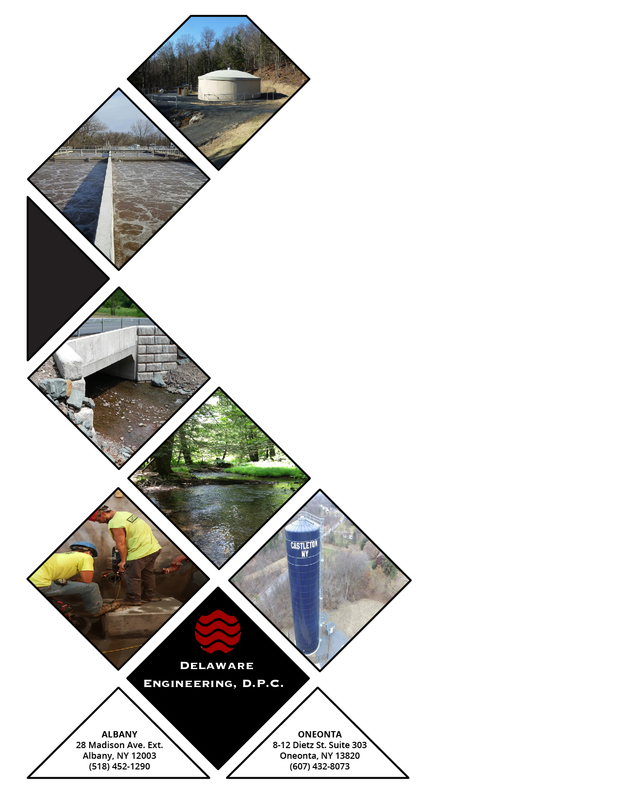 Delaware Engineering provided hydrologic and hydraulic analysis, design, permitting, and bid/award. 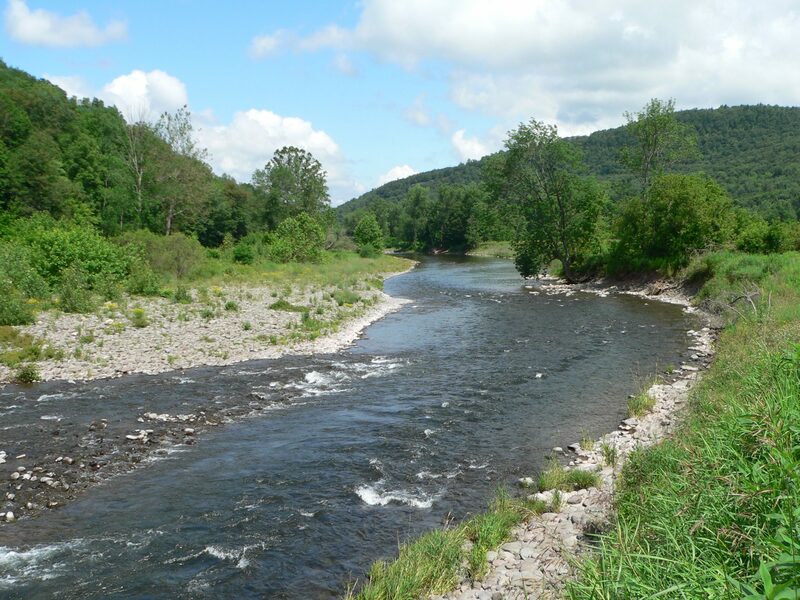 Delaware Engineering assisted the Greene County Soil and Water Conservation District to repair an eroding bank of the Schoharie Creek that ran along a farm field. 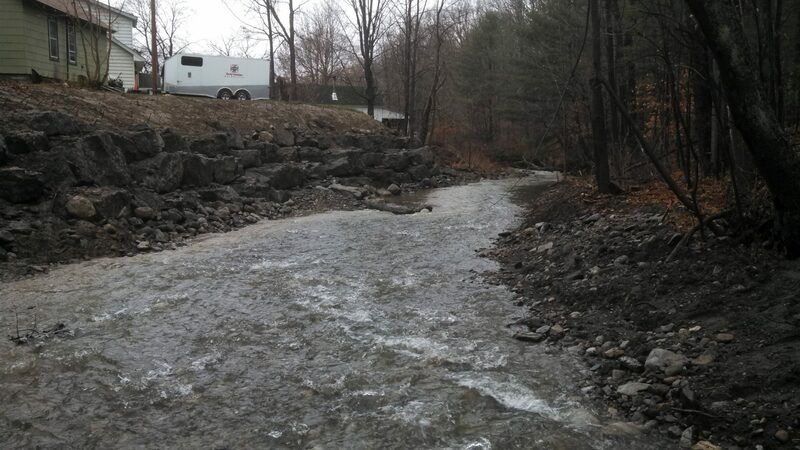 The project included approximately 1240 feet of stream bank stabilization. The bank stabilization work consisted of installing large rock at the bottom of the bank, creating a high water bench and grading the upper bank to a 3:1 slope. Riparian vegetation was planted on the high water bench and upper bank along the full length of the restoration.